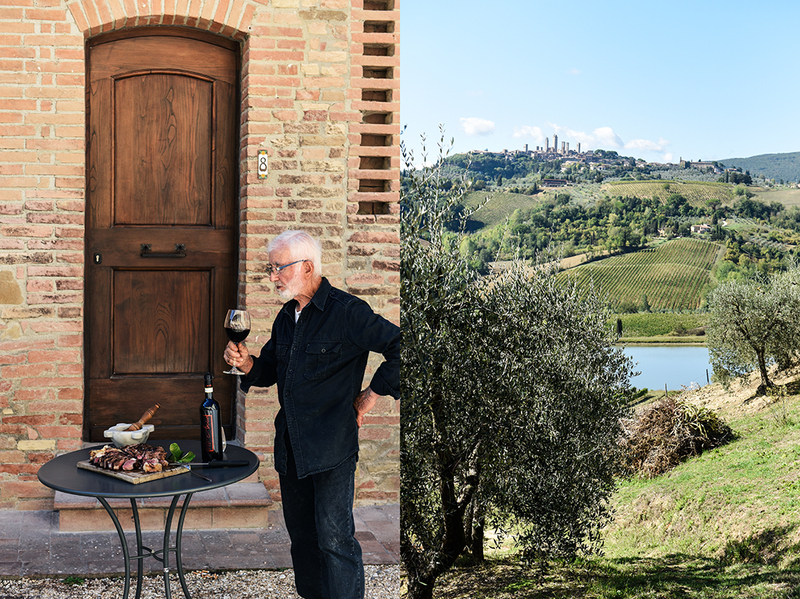 If I could draw the most perfect Tuscan farm in my mind, in the perfect setting, with the perfect food and wine, with loving people taking care of the land, it would be the almost unreal Fattoria Poggio Alloro. 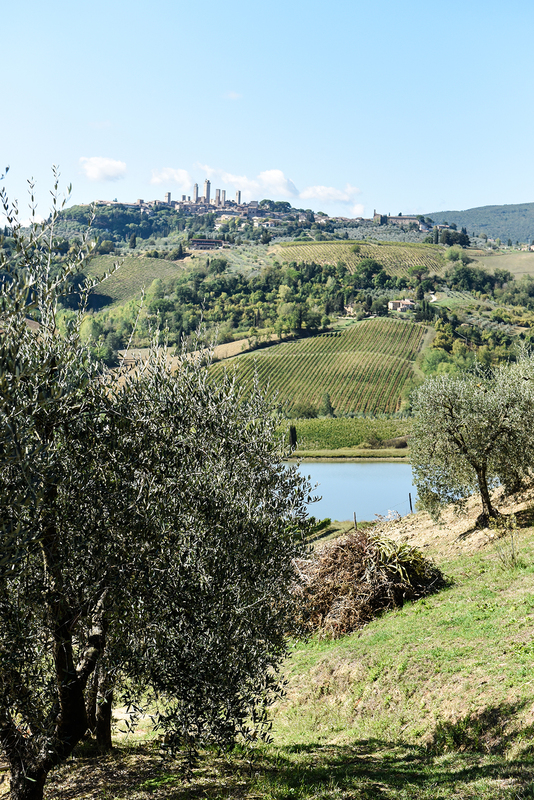 Facing the elegant towers of San Gimignano, you can see straight lines of green vines painted in the landscape, crossed by the gentle curves of the surrounding hilltops. A little pond lays peacefully at the lowest point of the valley creating the serene scene of a Tuscan dream. 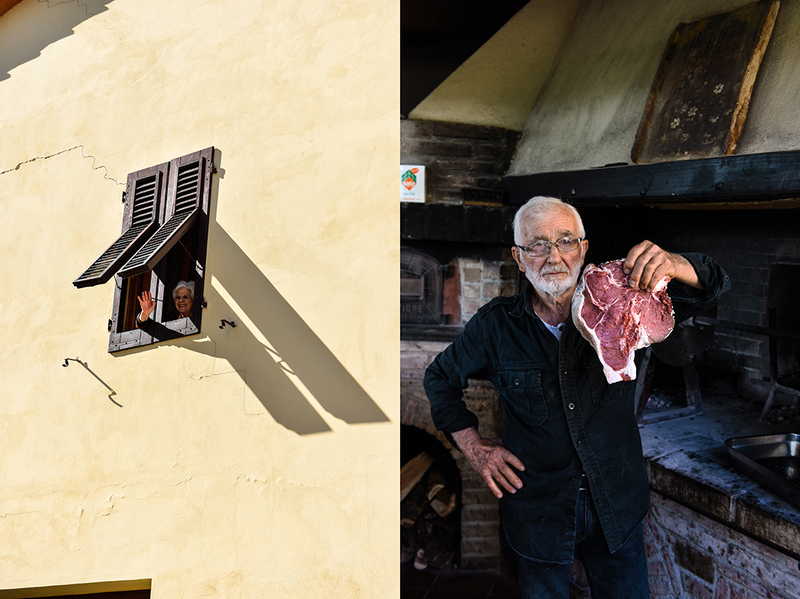 Family and food are two basic columns of the Italian culture, they are inseparably connected with each other. From childhood to adult life, so many memories are created by the two of them. 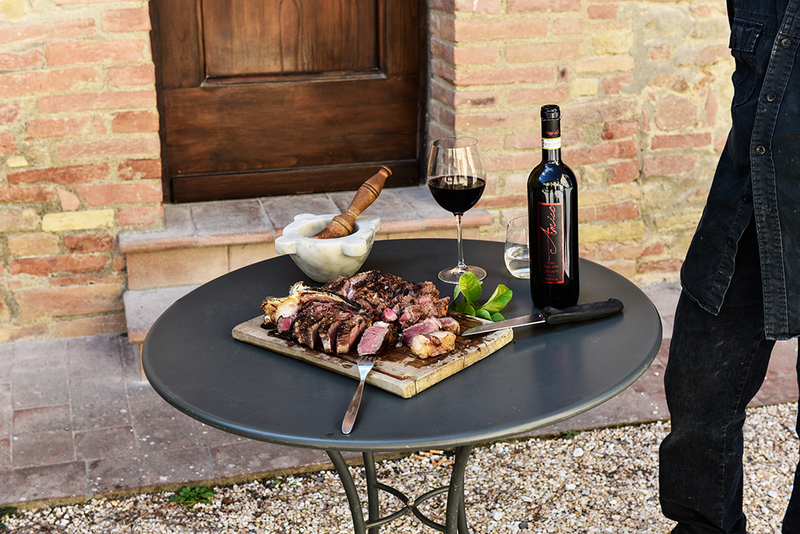 It’s the backbone of a country known for its genuine hospitality, where the cuisine is strongly influenced by the fact that food and wine are meant to be shared at the table. 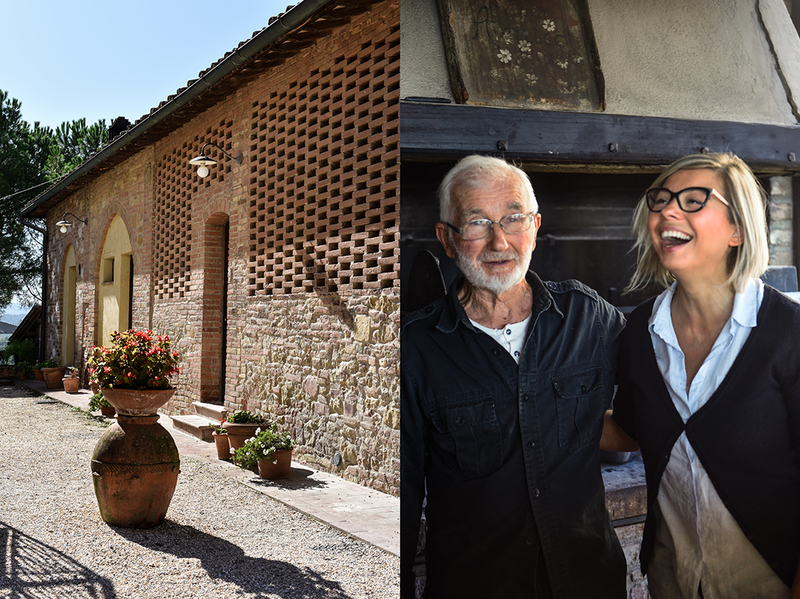 Poggio Alloro is an old farm where a family of sisters and brothers, sons, daughters and husbands, aunts and uncles lives together, works together, and enjoys the pleasures of life together – and I’m more than thankful that they decided to share it with the rest of us. 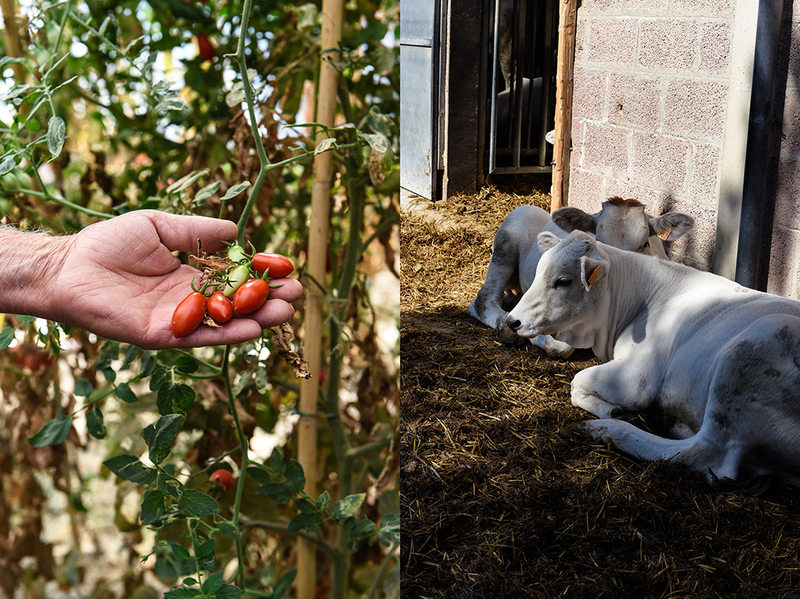 This little paradise is a microcosm, it’s self-sufficient, everything you need in the kitchen comes from their own fields, their winery, and the cattle farm. The family produces their own wheat to bake bread and olive oil to dip it in. 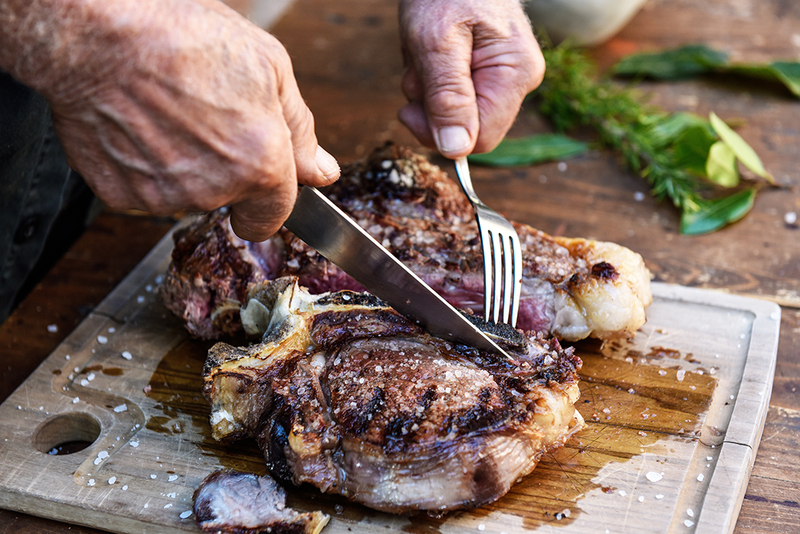 Whatever you find on your plate or in your glass is of outstanding quality, created by a family that believes in living in harmony with nature. Therefore cultivating organic farming is the only choice in their eyes. They are blessed and they know it, thanks to the way their fathers and mothers have respected and worked with the land for generations. 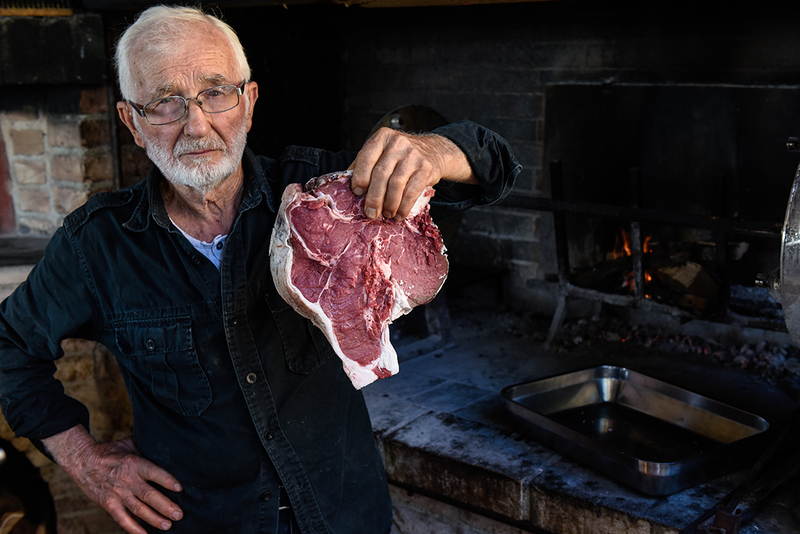 Renowned chef und cookbook author Sarah Fioroni invited me to spend a day at the farm, to meet her 82 year-old father, Amico, and cook the famous Bistecca alla Fiorentina at the grill of their rustic outdoor kitchen together with him. 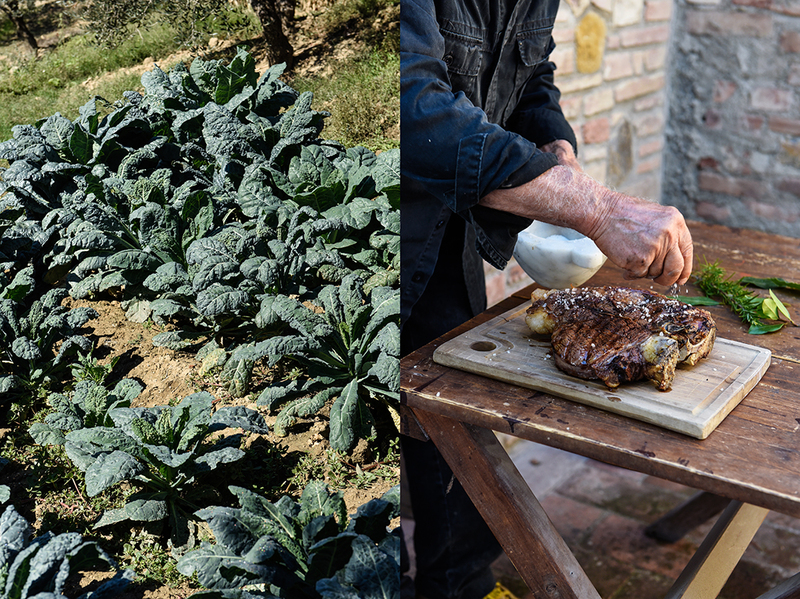 I totally fell for the man’s rugged charm – I guess it’s a talent that Italians just know better to use than anyone else – and I fell in love with his gorgeous vegetable garden: L’Orto di Amico. You just have to watch this man walk through his kingdom, past obscenely lush basil plants filling the greenhouse with their addictive perfume. If you hear him swear that it was the hottest summer in 200 years and that the sun destroyed a great part of his tomato harvest, if you see him stroke the farm’s snow-white Chianina cows, one of the world’s oldest breeds, then you’ll understand how much he has grown together with his land, with the soil, the produce, and the animals. There’s fennel, lettuce, and beans, dark Tuscan kale with long pointy leaves waiting to be picked for the Tuscan Ribollita soup, there are plenty of leeks, as Amico himself loves it so much. 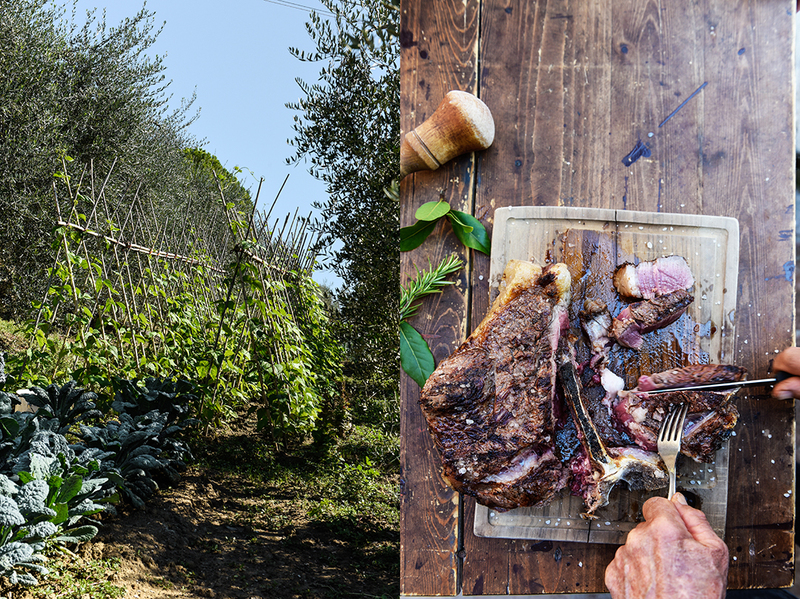 It’s all organic, it’s all there to feed the family and their guests at the farm’s fantastic restaurant. You can also stay at the farm that has been mentioned in the Michelin guide for years and imagine that it’s your kingdom – even if it’s just for a night. In the next months, I’ll share many Meet In Your Kitchen features with you that took me to California, Italy, France, and Japan. 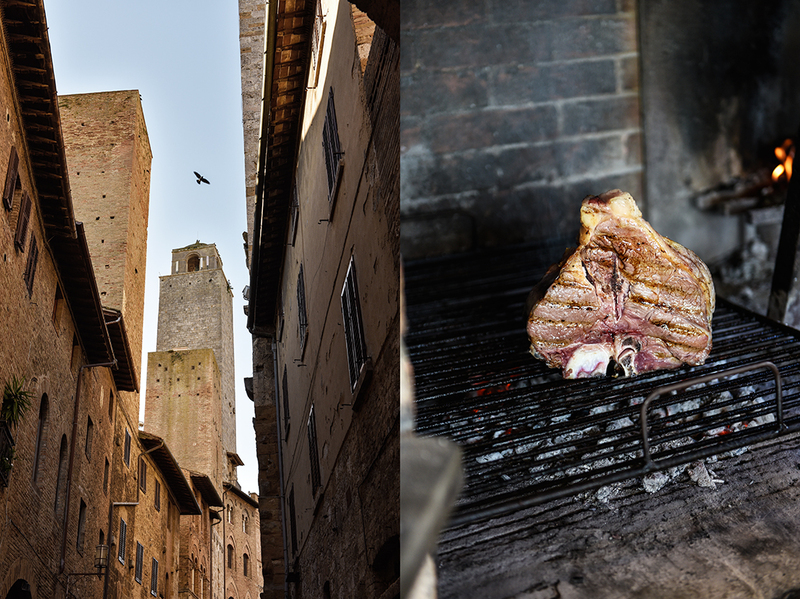 Thanks to Zwilling for sponsoring these features for our culinary trip around the world! Thank you, my man James Hickey, for joining me on these adventures and helping me take pictures! 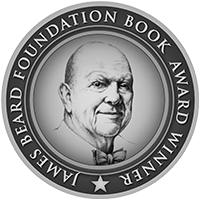 You can find the German recipe here. 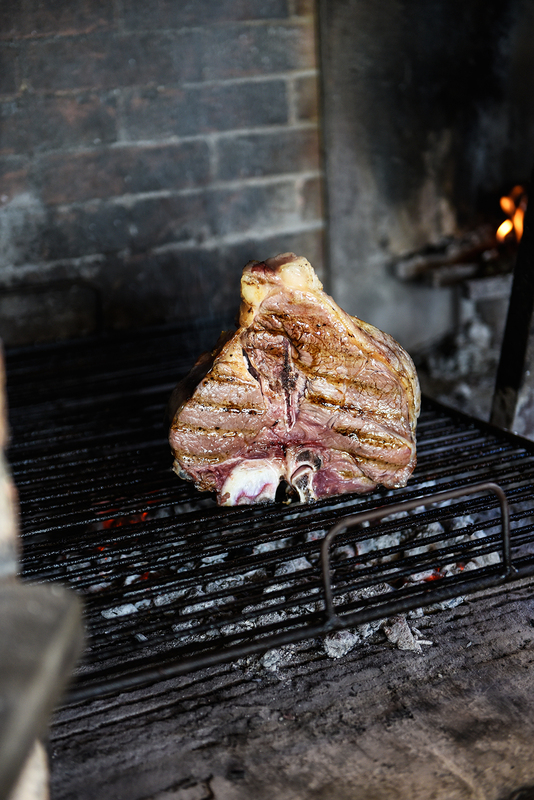 Chinanina bistecca must be eaten rare, if you cook it too long, it’ll be tough and lose flavor. Heat the BBQ grill, preferably using charcoal. 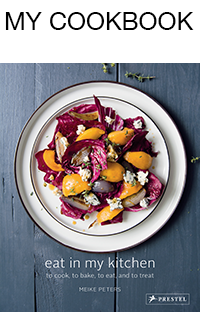 The grill should be very hot for this recipe. 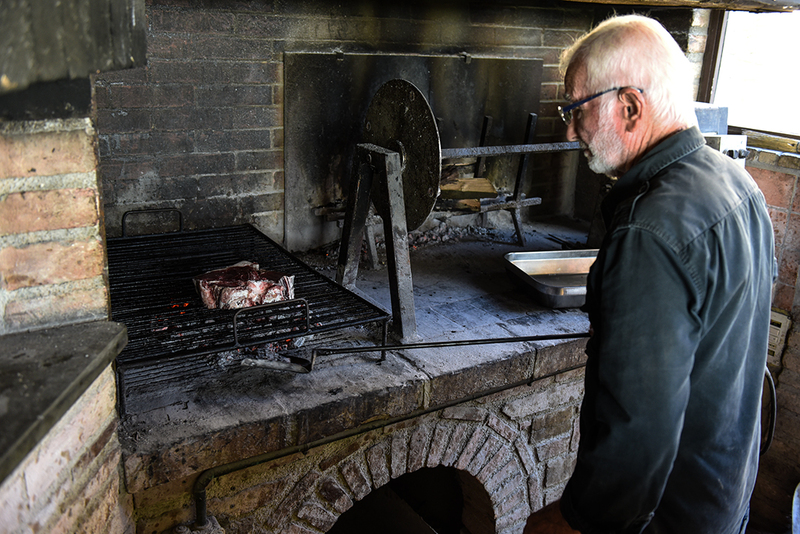 Grill the bistecca for about 5 minutes on each side, flipping once, or until rare. 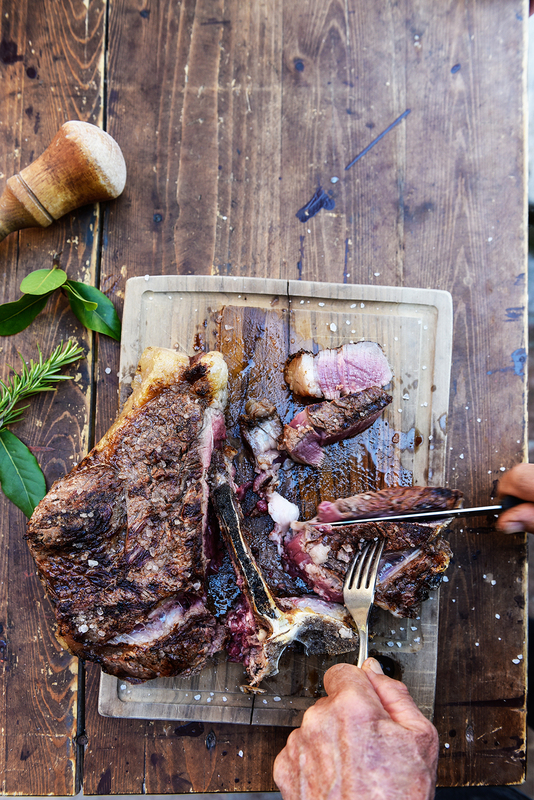 Take the steak off the grill, season with salt and pepper on both sides. Let the meat rest for about 10 minutes, covered, then cut into thick slices and enjoy with a glass of excellent red wine (Chianti of course)! Can you tell us a little bit about yourself and your father? My name is Sarah Fioroni and this is Amico Fioroni, my father. He’s 82 years old, even if he seems 60 years old! 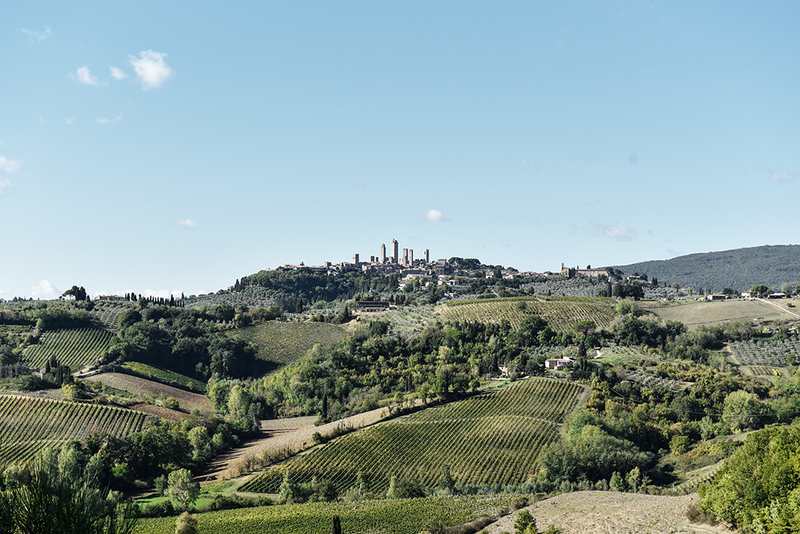 We are here at Fattoria Poggio Alloro, right in the middle of Tuscany in San Gimignano. We are an organic, real working farm, and this is our family business. You’ve just mentioned that this is a family business. Is it always fun to work in a family business? It’s not always easy working in a family business but I feel that we’ve been lucky. We have a great relationship, not only with my dad but with the rest of the family. Vero, Babo? So things are a little bit easier here because we are so busy working all day long that when we see each other the last thing we want to do is fight. So, we just sit at the table with a glass of wine and some food and life is better! Together we will win (laughing)! It means that together we do something good. Otherwise if you fight, you get separated, you don’t keep going with your farm, or with your family business. What do you love about your life here? My father loves the land. And us, the family. We are three daughters and the wife, of course! For me, what I love the most is this genuine life here – the feeling of living and growing up on a farm with such a pure and beautiful example of him (my father), my uncle, and my aunt. I think we’ve been blessed. And the love that we have for the land and the nature makes our life here really, really beautiful. So, I guess you’ve never considered leaving! No, I’ve never considered leaving! What does healthy food mean for you? It means everything. Healthy food is a major part of my life. I’ve been eating healthy and organic for my entire life so I cannot think about eating anything else. We eat food that comes from my father’s hands or my family’s hands. It’s so genuine with a huge respect for the land and where the food comes from. (Sarah) He only loves the things that he produces on his farm: organic and seasonal. That’s the way back to the origin where we all come from – to the organic way of life. This house was already here when my parents arrived in 1955, but it was totally different. I will show you some pictures in black and white, later, so you can see how it looked. My parents rebuilt everything. They worked very, very hard on rebuilding this farm, by planting new vineyards, new olive trees and everything. But the house was already here. 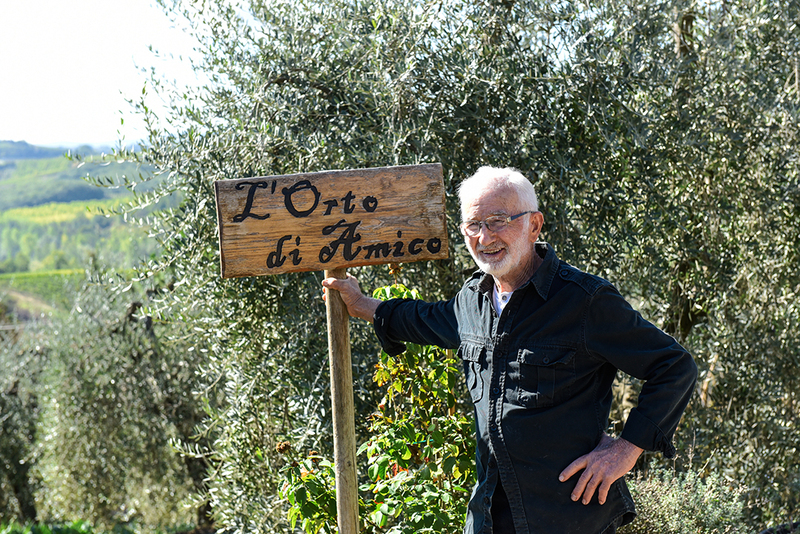 Also, the name of the farm was the same – Poggio Alloro. Actually, it’s the bay leaf tree! 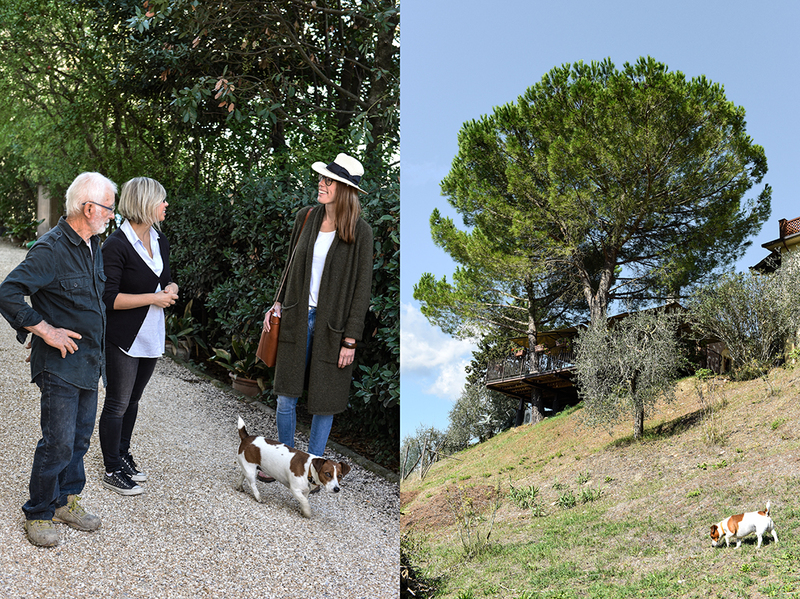 Poggio means little hill, because the house is on top of a little hill. And alloro means the bay leaf tree. So, it means bay leaf tree hill. It’s nice because we have a lot of bay leaf trees and it’s very typical in Tuscany. It smells very good and you can cook with it. It’s really nice! How many family members live here? We still have our family house here, so all three families are still here. We are about 15 members of the family working here. Not all of us live here together anymore because the house is still the same. You’re not allowed to build any other buildings here because it’s a very protected landscape. It’s a shame, because instead of living here on the property you have to move somewhere else nearby. On the other hand, it’s a beautiful thing because you still have the same landscape as 60 years ago – and it may be for another 100 years. Can you tell a bit about your olive oil? Frantoio, this is the typical Tuscan variety. We have three different varieties: Moraiolo, Leccino, and Frantoiano. This is the Frantoiano, the olives turn darker. By November, they will be a dark purple colour, almost black. That’s the time for the harvest. We harvest by hand in this way: we put our hands in like this (reaching an open, outstretched hand upwards into the branches, and closing the hand as it moves downwards, gathering the olives between the fingers), and we collect all the olives in a net on the ground, and then collect the olives into a basket. Our olive oil, and I would say Tuscan olive oil in general, is very herbal, very grass-flavored, like artichokes, and it’s very spicy. It makes you cough sometimes when it’s fresh! It burns a little bit in your throat! It’s a good thing! All the nutrients and all the flavour are there. It’s a good sign. Has this farm always been organic? Actually, my parents, my whole family, they have been organic for generations. You have to remember that almost 60 years ago, there weren’t even tractors here so they were working the land and fields with their hands and with animals to help them move the soil. It was totally pure organic farming. It’s definitely not a new decision or a new style for our family. It’s embracing where they come from and what they have been doing for so long, for so many years, and they are still doing it now. 100% organic, not using any pesticides, not using any compost or chemical products – just as they did 60 years ago. In the 1970’s and 80’s, when agricultural farming was very tough and hard, we were 80% organic. We did use treatment, but only when we needed it. After that, we decided to go back to our origins and we became a 100% organic farm again. So, that’s their style of living. That’s the way they grew up. My father really hates the industrial agriculture. For him, organic agriculture is the best agriculture in the world because he says that it’s the natural way to do it, using organic remedies, and not using pesticides. It’s the same for all of the other fields that we have, like the vineyards, crops, fruit trees – not only in the garden, but everywhere on our property. Everything that we produce, wine, wheat, spelt, sunflower, barley, everything is produced organically. It’s always a good sign to see fruits with little bugs inside – you just have to remove the bugs and eat the fruit! The bugs are a sign that the fruits are organic – if the fruits come from industrial agriculture the bugs wouldn’t be present. Do you believe that organic agriculture is the future? My answer is that it is the past and the future! It’s the way we used to be. Maybe in a very, very long time starting from now, the buyers or customers will finally understand that buying products of industrial agriculture is not healthy – for themselves and for the environment – and then finally move back to organic farming. Do you believe that we can produce enough if we only produce organically? The production will definitely be less, especially if you have neighboring farms that are non-organic – it disrupts production. All the insects will move from one farm to the other and that’s not very helpful for organic farming. Here, luckily, many of the farms are organic so we are in a very lucky paradise here. But in other places, it would be a hard choice if you are the only one producing organically in the middle of an industrial agricultural area. It will be hard. For example, a very natural method of avoiding those stinky bugs – you know the green, stinky bugs? – there is also a smaller type that attacks lettuce and tomatoes– the natural remedy is to plant lots of basil in your garden. And a lot of hot chilli pepper! It really bothers them, so they go away! 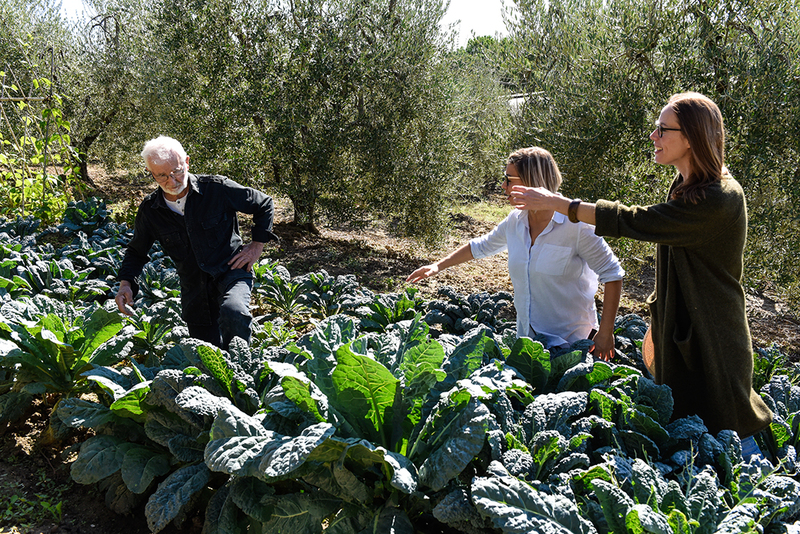 Going back to the future of organic farming – what I believe – is that yes, we are going to produce less, for sure, but do we really need to produce so much? Do we really need to waste all this food, to over produce, and to overeat every single day? To me, the answer is no, we don’t need to use this massive amount of food. We can produce less in a very organic way. It’s a big dream, of course, I do understand that! But if we eat less we don’t need to have all our grocery stores full of fruits and vegetables that will go in the trash can. Just produce less, eat healthier, and this will help our world to function better. It’s easy to say. It will be very hard to do it, but if we start now in a small way – in our garden, in our backyard – we can change. Little by little!